Thank you for your interest in membership in our organization. Here is a little bit about us. Covenant of the Goddess is a national organization composed of member Wiccan or Witch Covens and solitary Wiccans or Witches who apply for membership through their local councils. In Florida we’re the Everglades Moon Local Council (EMLC). We are witches who are involved in our community, and who are dedicated to working together to benefit our community and our religion as a whole. We are always excited to welcome in new members. While most of our membership is located in Dade, Broward, and Palm Beach areas, we also have members in Melbourne, Tallahassee, and other areas. Meetings are held on a regular basis, usually once every 6 weeks. We request that prospective members come to some of our meetings, not only for us to get to know each other better, but also so that interested parties can get an idea of how we do things. Our organization is run by consensus, and that can be a completely new experience for a lot of people. Concensus is not a perfect process, and it doesn’t mean that everyone always agrees with everything. But CoG has found it to be a great model for honoring and respecting all participating members’ opinions and an empowering way to resolve issues. We ask that you attend at least one (1) meeting in person, and two (2) other meetings or EMLC events before applying for membership. We realize however that this can be difficult for those who live far away and can’t travel. To that end, we also have Skype capability, so that people can call in to the meetings, or you can call in on a teleconference line and we’re all on speakerphone together. We do our best to make meetings available so that everyone is able to participate, and so that everyone has a say in what we do and how we do it. And those are just the ones I know about. I think there are more festivals in the Orlando area that I am unfamiliar with, but others have told me they have attended (Like Rovengrove’s Bridfest, Summerlands, YuleLikeIt, etc.). And there are events at Coral Castle in Miami at the Solstices that our members also attend on a regular basis. If you want to know if any CoG members are attending an event where you are going to be, email us and ask. We’ll do our best to meet up with you there. Another way is to invite some of our members to visit with you over a Sabbat or Esbat holiday, to meet your group and yourselves and to circle with you – a good way to get to know people and learn about them. So there are some options for getting the letters of recommendation even if you don’t presently know any CoG members. One of the reasons that Covenant of the Goddess is adamant about having prospective members vouched for is because CoG issues Ministerial Credentials that are recognized as valid nationwide, and these credentials can be applied for by each member. Thus, the screening process for membership has to be reliable and verifiable. 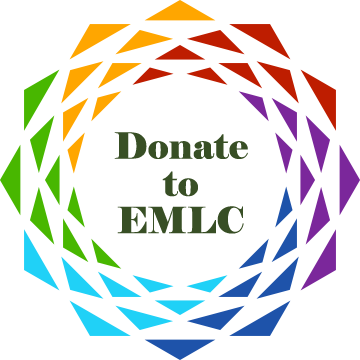 Once your materials for membership are received, and you have become acquainted with other EMLC members so that we feel we are familiar enough with you or your group, then EMLC members will review your membership request. If approved, this goes to our National Membership Officer to process and to our national newsletter to be published. After the publication and comment period have passed, two Sabbats, then the group or solitary member is welcomed in and sent membership materials. You can also request Ministerial and Elder credentials which are recognized and accepted nationwide. If there is anything I haven’t covered, or any other questions or concerns that you have, please feel free to ask! The Membership Officer is the person who helps prospective members through this process and is available to answer questions and offer assistance. Keep in mind that we are all volunteers, and most of us work full time as well as have other duties, so your patience and understanding is appreciated if we can’t get back to you right away. Thanks for your interest, Ren! I’ve forwarded your contact information to our membership officer. She will be in touch! I would love to get more information about joining this group. Tammy, our membership officer will reach out soon! I’ve fairly recently moved to Florida and would love to learn more about your organization. Is there an opportunity to attend meetings near the Palm Beach County area? I intend to be present at this year’s Ft Lauderdale Pagan Pride Day, and am hoping you will be there, too! Hello. Is there a way to join your community for those who live overseas? I’m currently living in Estonia, Eastern Europe… Blessed Be! Thank you for your interest in EMLC! If you’re overseas, you might consider applying for membership at the National Level. You can get more information about Cog at http://www.cog.org/. Blessed be! Blessings to all and greetings to each of you! I am a solitary practitioner in Clearwater, FL seeking membership info. Thank you for your efforts in honor of the Goddess — Blessed Be! Thanks for your interest, Clifton! I’ve forwarded your interest on to our Membership Officer. This page gives the best ways to get involved with EMLC and put yourself on the path to membership! Frances: Thanks for your interest in EMLC! I’ve forwarded the contact info that you provided to our membership officer, Coyote, who will connect with you soon. There’s a lot of information about EMLC and CoG in general on our site, and we always look forward to meeting new folks. If you want to meet a bunch of EMLC’ers at once and get some information about meetings and such, several of us will be attending the CUUPS Beltane celebration at the UU in Fort Lauderdale. We post information about where we’ll be both on this site and our Facebook page, at http://www.facebook.com/evergladesmoon. If you’re on Facebook, you should “like” us over there 🙂 You can get more information about the upcoming Beltane celebration at the MoonPath CUUPS page: http://moonpathcuups.org/. I am interested in learning more about your group and connecting with Wiccans in the Southwest Florida area. I have been a solitary for many years. Thank you for your interest in EMLC!! I have passed along your information to our membership officer, and he will be in contact with you soon. While the majority of our membership is on the East coast of Florida, we do have some members on the Gulf coast. I might also recommend if you have not already to check out some of the Meet-Up groups based out of your area if you are looking to connect with other Pagans, too! Thanks to the internet, we have so many more options to meet other like-minded people than we used to! I am interested in exploring membership in your interesting and lively group. I met some of you this past weekend at Turning the Tide. I discovered over the weekend that there are several persons attending I would like to know better. Most especially that Trickster. I am a member of Oaken Grove Coven in Lake Worth/Royal Palm Beach and an Outer Court member of Moon Dragon in Loxihatchee. I have been a student and practitioner of Magick for over 40 years. Coyote! I have been contemplating whether I like you upright or upside down, still not sure, perhaps both. Thank you for your interest! I’ve forwarded along your contact information to our membership officer and the Trickster should be in contact with you soon *wink*. I may have met you at a Moon Dragon circle – I went to the very soggy Lughnasadh this year 🙂 Blessings to you! level. Drop me a email so we can talk. Morpheus! I will get our current Membership Officer in touch with you asap! 🙂 Glad that you’re thinking of coming back to EMLC!! I would love to meet some pagans in my area I am located in lake Worth and to get email and such on events so I can meet others. I look forward to meeting new friends who share the same spiritual path. My name is Stephanie. Nice to meet you, Stephanie! Be sure to follow us on Facebook so that you can be alerted about all upcoming events associated with EMLC! Our Facebook page is https://www.facebook.com/evergladesmoon/. We’ve also passed along your contact info to our membership officer, who might be able to help you out, too! Just a quick note to say that is was great to meet some of your members at the Pagan Pride event in Fort Lauderdale! I had a great time and it was a fun event!!! Any chance to host a Pagan Pride in Miami, Fl? Hey Silvia! One of our members has been working on hosting a PP Day in Miami. Is it OK to give her your contact information? Thanks for getting me information so quickly! I got a couple of nice emails from Coyote. I really appreciate the effort and plan on attending the Pagan Pride/Equinox event in Fort Lauderdale! If you feel there is any further information I should read, please let me know. I am relatively new to Florida and am looking for community. I would love to meet some of your members and get involved! I have been a practicing pagan and witch for about 20 years. That sounds great! I live in Lake Worth so thats not too far at all! Awesome!! We look forward to meeting you! I am a home bound pagan, and can not go to you meeting’s myself but I want to be a part of a true pagan lifestyle. Thanks, Tibor! I’ve forwarded your info to our Membership Officer so that he can follow-up with you about what EMLC is and you might be a part of it! I am interested in learning more about your organization. I’m a long time Floridian returning after a few years up north. Welcome back to the Sunshine State!! Thanks for letting us know you are interested in CoG. We’ve let our membership officer know that you’d like more information about EMLC, so be sure to look for an email from them soon! Great! We’ll get your email address to our membership officer to follow up!